So Halloween is creeping up (get it?!) on us really quickly with only a number of days to get costumes sorted. I don’t think I’m up to much this Halloween, but that doesn’t stop me getting in on the fun! 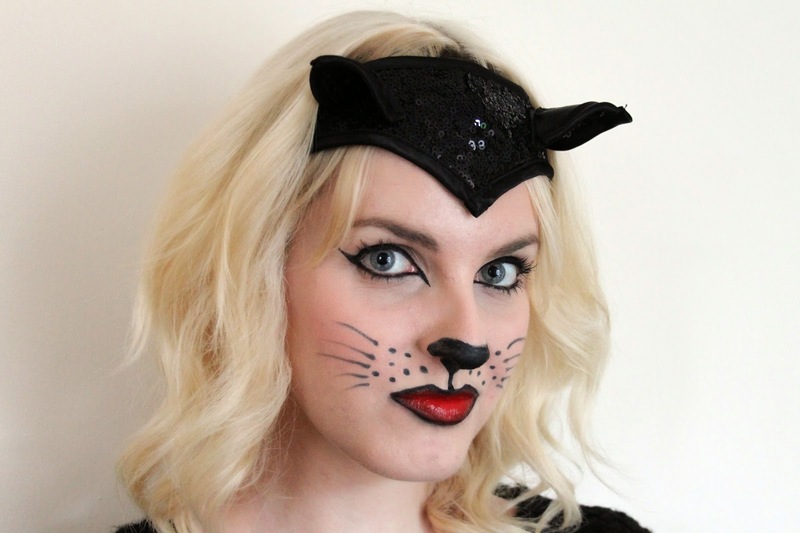 Over the past years, a cat has always been my costume of choice, with very minimal effort in the makeup department. I decided to turn to trusty Pinterest for inspiration this time round, and found this image that I thought i would try and recreate! 1. 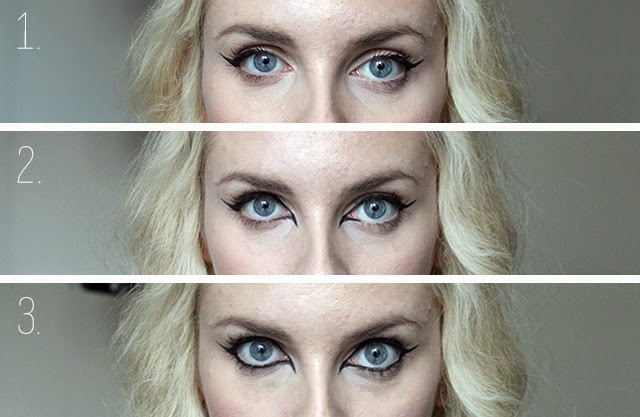 Using a liquid or gel eyeliner, create an exaggerated wing on the top lash line for the ultimate feline flick! 2. Follow the line close to the lash line, all the way to the inner corners, then take the line down to a point towards the nose, about half a centimetre below the eye. Then join this line up to the lower lash line at the inner corner, and fill in any little gaps you might have. 3. Finish the eyes off by lining the lower lash line with a kohl or pencil liner, creating a seamless line all around the eye with no gaps. 4. Next move on to the nose, and using black eyeliner (I used liquid) draw a C shape across the centre of the nose. Join each end of the line down to the sides of the nostrils with a curved line, then fill in the rest of the nose. Finish off by drawing a line from the base, through the cupids bow to the top of the lip. 5. Draw some dots either side of the nose, just above the lips at either side of the face. 6. Draw on some whiskers at each side, pressing on firmly first of all, then trailing off towards the end for a lighter, finer line. 7. The final part of the make up is the lips which are also really easy! Start by lining them in black (I used a pencil eyeliner). Don’t worry if it’s a little messy! 8. Using a lip brush, carefully fill in the lips with your chosen lipstick, the gently drag the inner edges of the black line in to the centre of the lips for an ombre effect. Finish off by adding a little red gloss to the centre of the lips to make them really pop! 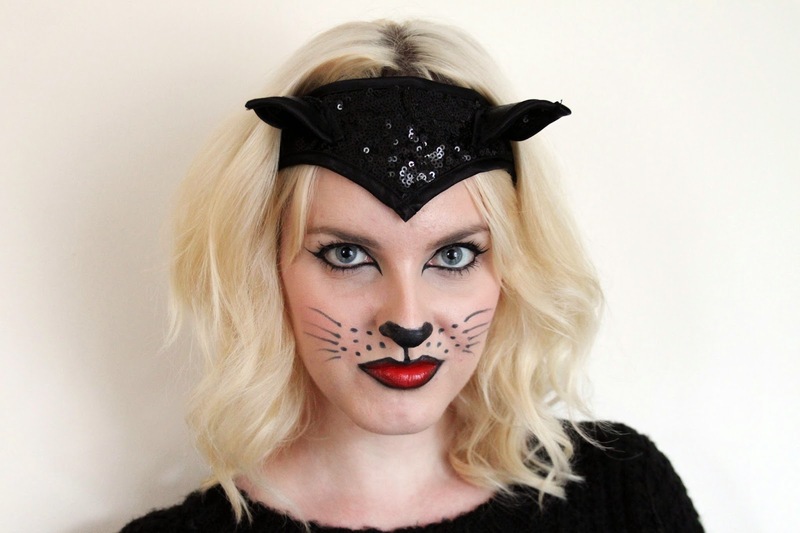 I then added on my Panther Ears to pull the whole thing together, and if I was going to a Halloween party with this look I’d probably go for an all black outfit a la Catwoman! 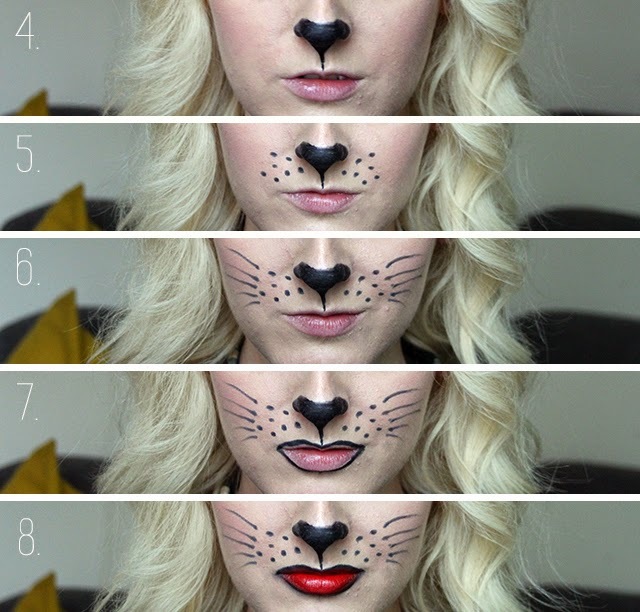 Will you be trying this look out for Halloween? Let me know what you’ve got planned and what you’ll be dressing up as! "7 TIPS FOR MOVING OUT FOR THE FIRST TIME"